This woman is AH-Mazing!!! First, wow, we have so much in common with our moms, our divorces, our spiritual growth. She had the success and everything you’d think you’d ever want when her world came crashing down. Yet she’s embraced each event to receive the gift and not just ‘get it’ in her mind… but embody it in her heart. 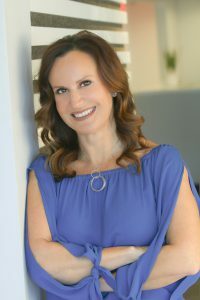 Kelly Resendez, author of the new and already popular book Big Voices, is also founder of www.bigvoicesrise.com, a women-empowered network. She is passionate about helping people increase joy, reduce suffering, and learn to think differently. Her own journey has helped her create the strategies and tools that she shares throughout her books. Kelly’s uplifting message focuses on identifying and removing the barriers to self-actualization you have created. She’s spent years working on her own Big Voice, learning from the masters and she shares that hard-won knowledge with you.